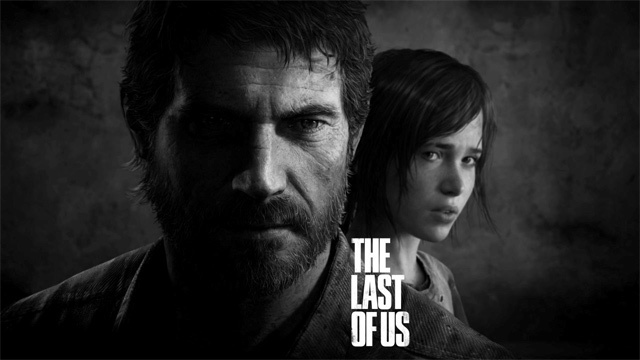 Naughty Dog’s The Last Of Us has effectively set a new standard for what gamers and critics alike should consider a “good game.” By combining wicked realistic graphics and emotionally driven cutscenes and gameplay, The Last Of US truly marks a high point in video game history. And though the storyline is rather straightforward and has certainly been done before, Last Of Us pulls players through with such finesse that we don’t (and can’t) think we’re just playing another zombie game in a market saturated by the undead. But what makes this game stand out amongst other critically acclaimed titles that have been released recently, such as Bioshock: Infinite and Metro: Last Light, is the intensity of each action you perform within the game. From executing a pleading raider to holding your breath as you sneak past mobs of clickers, every moment of the game is drenched in a very dark sense of foreboding that is absent from many games. It’s a mature, dark theme that grips gamers by the throat and forces them to experience this depressingly evil world – one in which mankind has devolved into its lowest state (see The Road). I think the last time I felt this level of chilling brutality from a game was when I played Heavy Rain, a game about a murderer who targets children. This increasingly depressive theme of humanity’s self-inflicted downfall obviously isn’t the game’s only merit. But it certainly pulls it from a crowd of other, more colorful games, and sets it onto its own grim pedestal. In addition to having a visceral single-player storyline, The Last Of Us also includes an insanely immersive multiplayer option that has kept me playing even now, weeks after finishing the actual game. From creating a clan and filling it with your Facebook friends, to finally unlocking that goddamn machete, the game’s multiplayer option gives players the ability to continue to experience and perpetuate the brutality of existence within this world through two different, equally adrenaline pumping game modes where you’re pit against a team of enemy players who are just as desperate as you are for supplies. And this is no CoD multiplayer where you can absorb and exorbitant amount of bullets and regenerate your health by taking a breather. More often than not, a couple of shots from a simple handgun is all that is needed to drop you to your knees, leaving you crawling on the ground in a feeble attempt to not get executed in an excruciating cutscene. It’s frustrating when your team doesn’t work as a group, rewarding when they do, and terrifying when you’re the last man standing. The depth of customization in your playstyle and your character’s appearance is unheard of as you’re given access to plenty of personal perks, skills, a whole range of weaponry, and tons of attire for your character. I could go on and on, but for the sake of sweet, short attention spans, I won’t. Hit up our podcast to hear my thoughts on other aspects of this game. 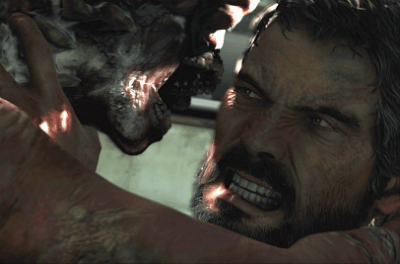 But as far as playing The Last Of Us goes: rent it if you’re strapped for cash. Buy it if you want to keep your clan from falling apart. But whatever you do, play this game. And brace yourself for an emotional roller coaster that, even as the credits roll, refuses to relent. Yes! Such a great game. I just finished it last week! i agree, i love this game, haven’t finished it yet though 😀 it kind of reminds me of the uncharted games only with zombies, it’s great! It definitely has the style of the Uncharted games!